Eleven-year-old Daisy Bauer has a rough life. Her parents are divorced, she lives with her recovering-alcoholic mom in a rundown trailer park, and her dad has been sentenced to serve time in a minimum-security prison for causing a chemical explosion. 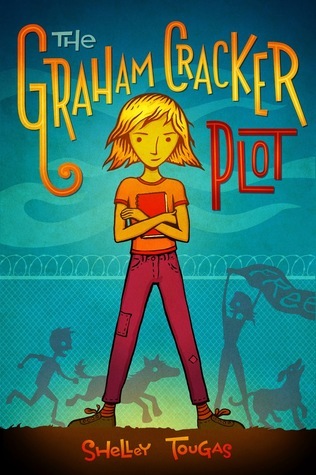 Worried for her dad’s safety in prison, Daisy hatches a plan with her sort-of friend Graham (aka Graham Cracker) to rescue him. What follows is an amusingly quirky tale of two naïve children who rely on an “idea coin” to make important decisions. Tougas did an amazing job of writing from the perspective of a child. The conversations between Daisy and Graham and their often nonsensical thought processes are so authentic. As a parent and former teacher, I could see this book being used to discuss some difficult social topics with children. On the other hand, it can also be read for pure entertainment. My 10-year-old son and I both loved The Graham Cracker Plot. It manages to be funny and endearing while touching on many serious topics. I look forward to reading more from Tougas.